Individual kernels of Medium Grain rice are approximately two to three times longer than their width. Raw kernels are white and translucent in appearance. Cooked medium grain rice is moist and tender in texture. Grains cling to each other after cooking. This is what we would consume for everyday table rice as well as employ for sushi. It is also suitable for other traditional medium grain preparations which depend on a similar starch profile such as Italian risotto and Spanish paella. 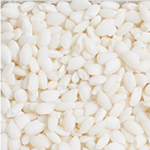 "Sweet Rice", "Sticky Rice", or "Glutinous Rice"
Individual kernels of Sweet rice are plump and short in length. 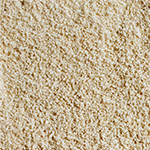 Raw kernels are chalky white and opaque in appearance. Sweet rice becomes very sticky when cooked. This unique characteristic is desirable for many Asian specialty main dishes and deserts. Sweet Rice is sometimes referred to as "Glutinous Rice”, which describes its texture and is not to be confused with "glutenous” (gluten). Be advised, this type of rice is NOT suitable for sushi. Brown rice is simply rice kernels without their hulls/husks. At our farm, hulls are removed by friction as paddy rice flows between two rubber rolls rapidly revolving in opposite directions. The coloring of brown rice is due to the nutritionally rich layer of bran which possesses natural soluble fiber, trace amount of minerals, vitamins, and oils. 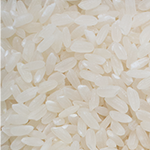 Brown rice may be consumed as is or further processed into milled white rice. Cooked brown rice has a chewy texture and a subtle nutty flavor. We strongly recommend brown rice be stored under refrigeration. All brown rice on our farm is kept cold until its departure/shipping. Rice flour is ground from "broken" and or "second head" rice (rice that is not whole kernel). 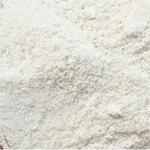 This flour is used in special applications and gluten-free. 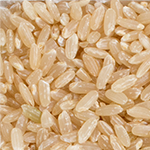 The outermost layer of brown rice is known as bran or for the Japanese, "nuka”. Bran is a good source of fiber, iron, magnesium, niacin, potassium, thiamin, and vitamin B-6.